I always love a good craft that utilizes the supplies I already have, and fun patterned paper is definitely something I have. 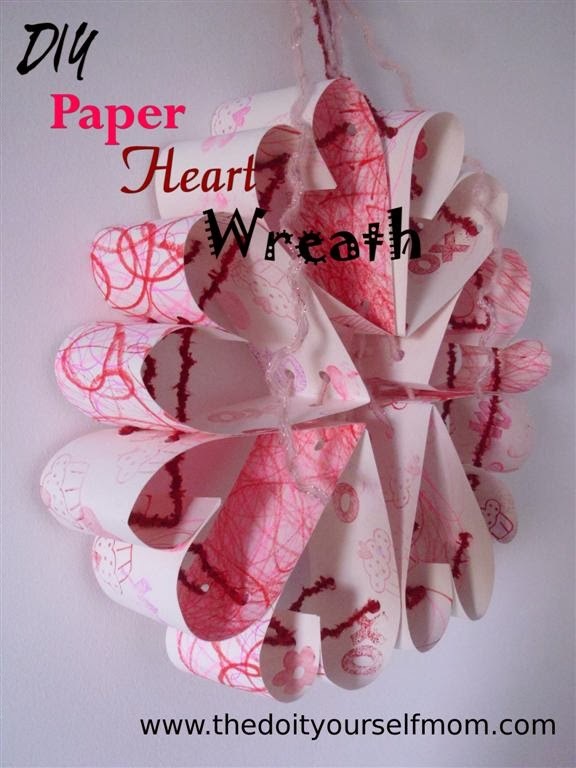 This Valentine's Day wreath from Family Fun gets extra points because it shows off both sides of your double sided paper. I always have a hard time choosing. If you don't have a stash of patterned paper, The Do It Yourself Mom has a great idea for letting kids create their own before making a similar heart wreath. 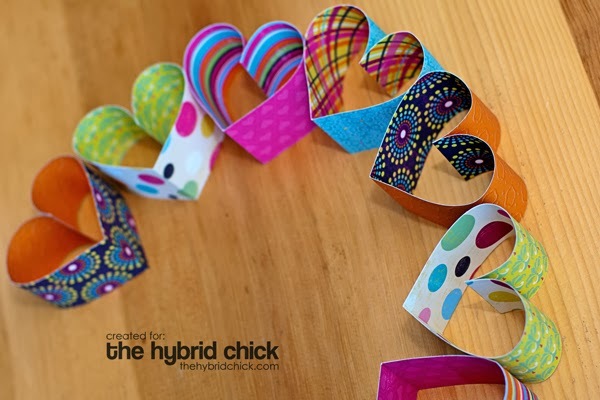 And if you like the idea but want a little bit different version, The Hybrid Chick made a paper heart wreath a couple of years ago that I love too. 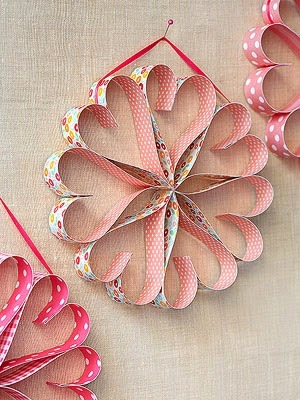 And no matter what version you make, you should probably make a matching paper heart garland to go with it.